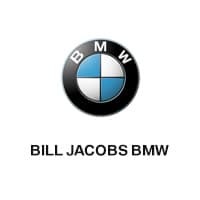 Our employees are the driving force behind the success of the Bill Jacobs organization – one of Illinois’ leading providers of luxury automotive products and extraordinary customer service. We strive daily to achieve our vision: To become the standard by which other businesses are measured in employee and customer satisfaction. Finding inspiration can be easy when you do what you love. Whether it’s the rugged off-road abilities of a Range Rover, the speed and sophistication of the M3, the brilliant body design of a MINI Cooper or the affordable luxury of the VW Jetta, we love what we do. We’re crazy about cars and inspired by the people we serve. A job can fill your pockets but only a passion can fill your soul. We’ve been doing things the right way for over 50 years now, and we hope that our honest, straight-forward way of conducting business has inspired others to do the same. The Bill Jacobs family of dealerships offers opportunities to rewarding careers in Sales, Service, and Parts and our corporate offices. Accelerate your career success by applying today.